Here's how they looked. 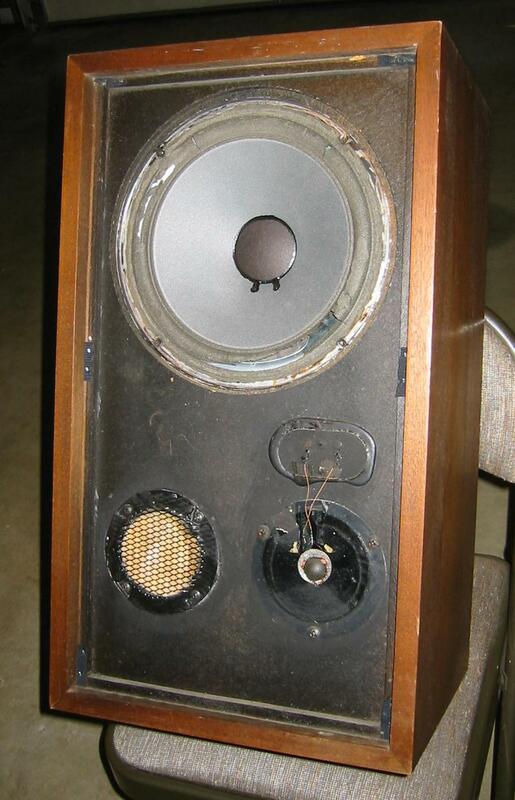 Both woofers worked, but only one midrange. The grille is off one midrange. Serial numbers are 263118 and 263295, but the fronts are different designs. 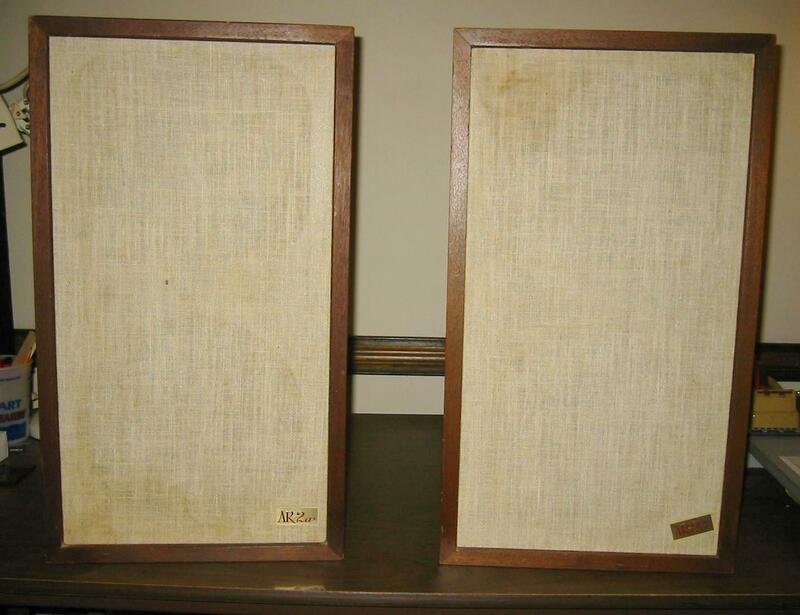 The lower serial number box is on the left. 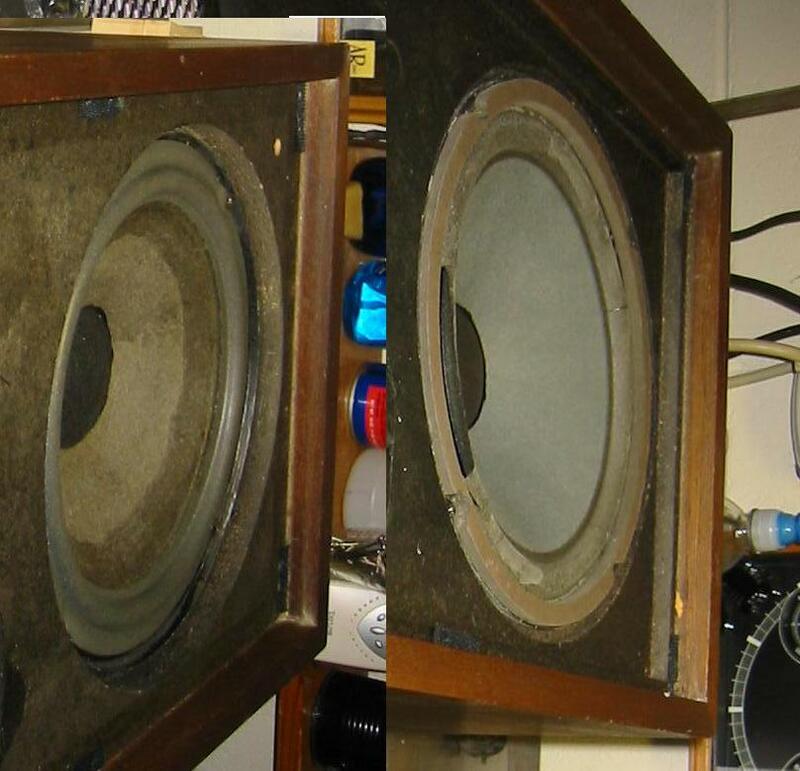 Its woofer is recessed further than the one on the right. 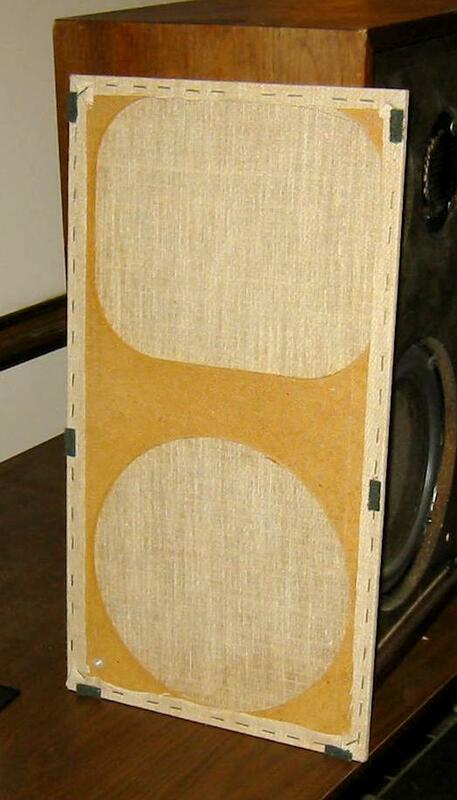 The right speaker face board is recessed, as shown by the lip just under the frame for the front cover. The lip is missing on the left cabinet. 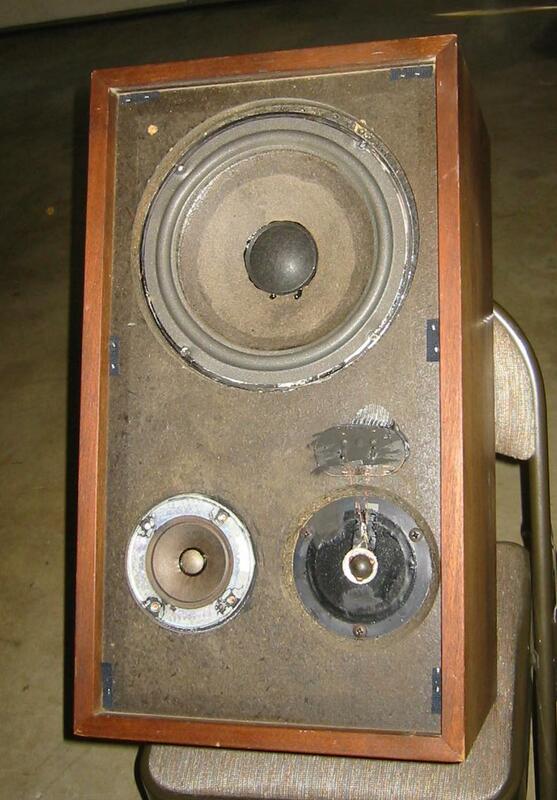 The newer woofer also looks different, though it might be a replacement. 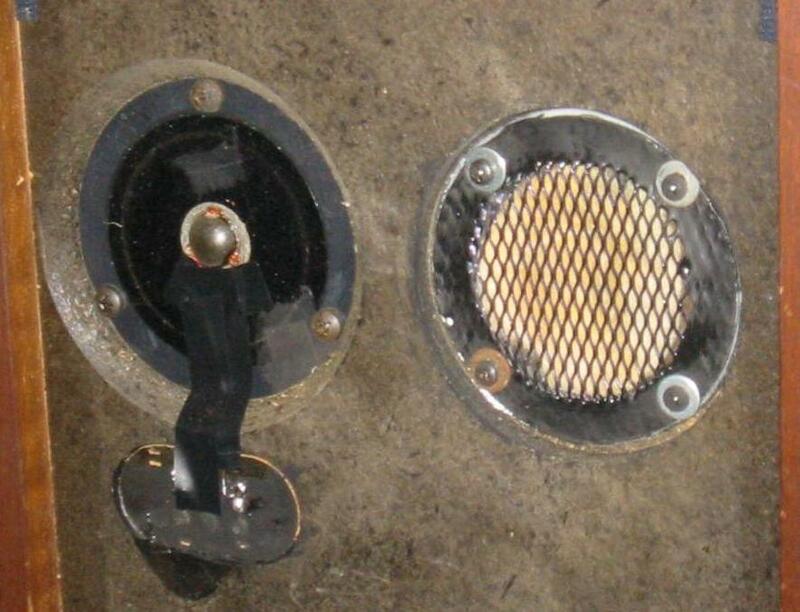 The surrounds are made of different material. The left surround is relatively stiff, compared to the right. The problem turned out to be dirty controls. Sprayed some cleaner, and all the drivers work. 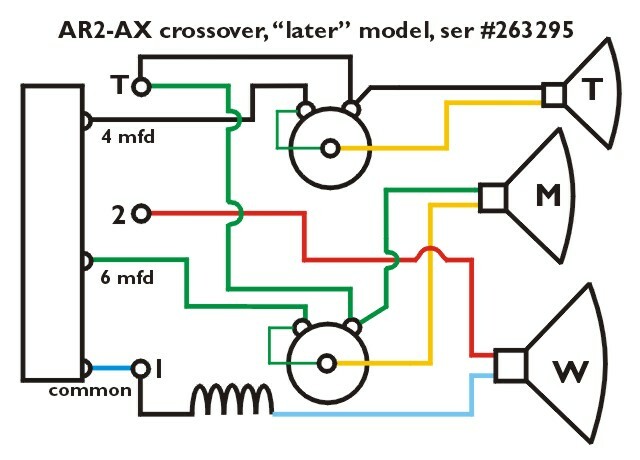 Here's the schematic for one of the speakers. The small green jumper on each pot is apparently not factory equipment. 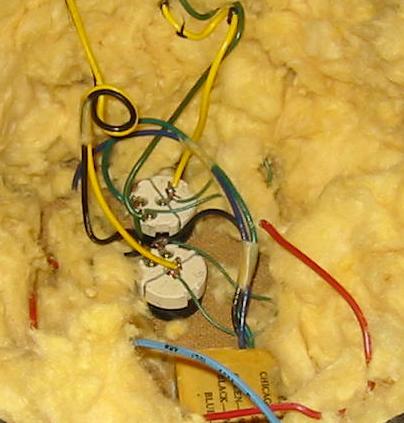 Nevertheless, the circuits tested from 2-20 ohms with this wiring arrangement. Edit: I eliminated the small green wire with no ill effect. 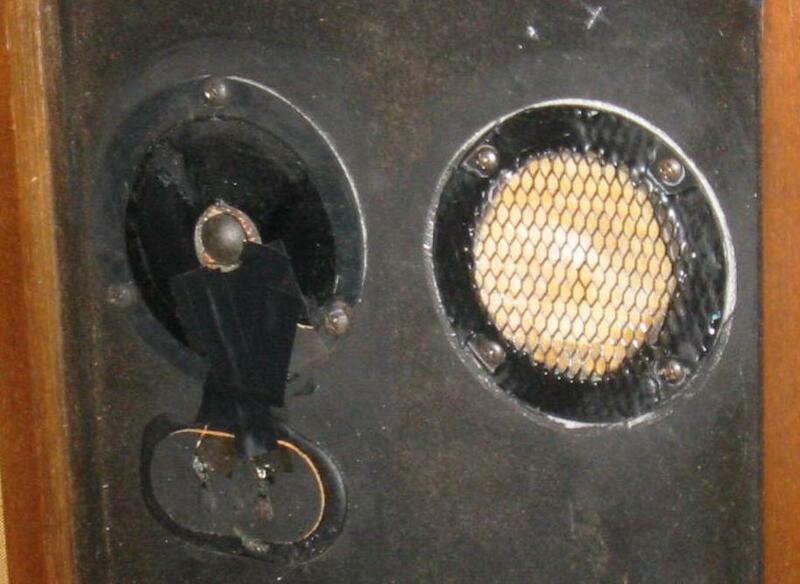 The speakers now sound great. 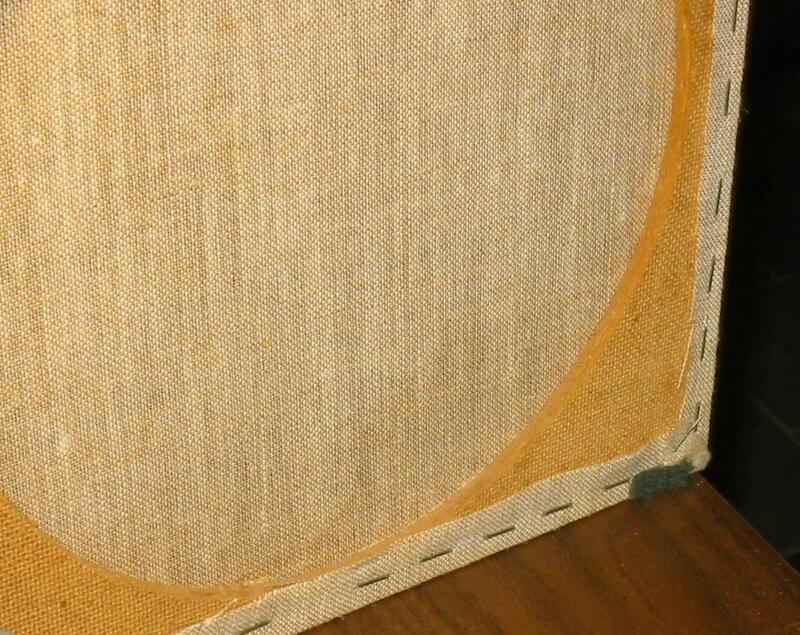 The covers are removable on this set. I don't know if they're OEM, but they are certainly convenient. 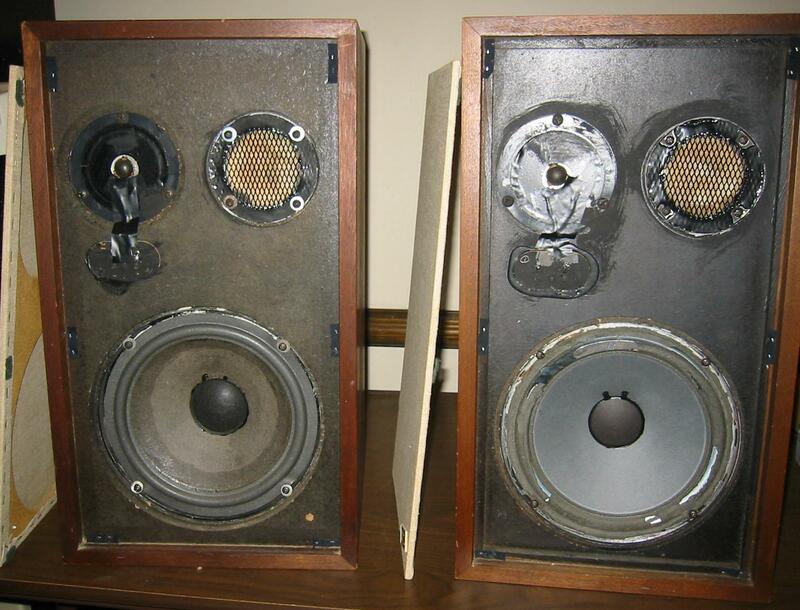 Here they are reassembled, waiting new surrounds for the woofers. I ordered them here. I haven't worked on the grill cloths or wood finish yet. That happens after refoaming. All the drivers work now. Not bad for $40 off Craigslist.